As this article is about to be published, it's already early November. Basketball season is in full swing and I couldn't be more excited about Milwaukee Bucks basketball! 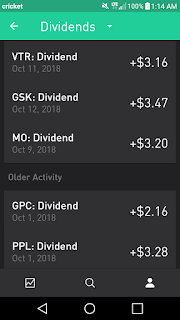 With that said, another month has gone by, which means it's time to examine what the dividend portfolio provided for me in dividends for the month of October. 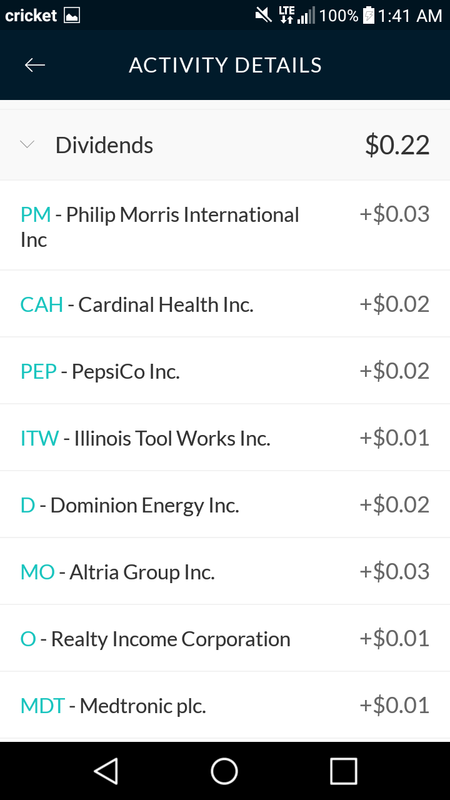 Overall, I collected $21.32 in income from the holdings in my Robinhood account and M1 Finance account. 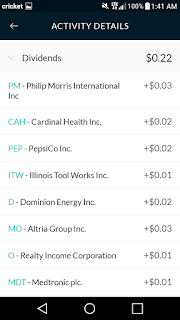 Of the $21.32 in income, $21.13 originated from 8 companies in my Robinhood account with the remaining $0.19 in dividends coming from 10 companies (as PEP and D paid dividends in September) in my M1 Finance account. The $21.32 in dividend income that I collected in October represents a 26.7% QOQ increase from the $16.83 that I collected in July. 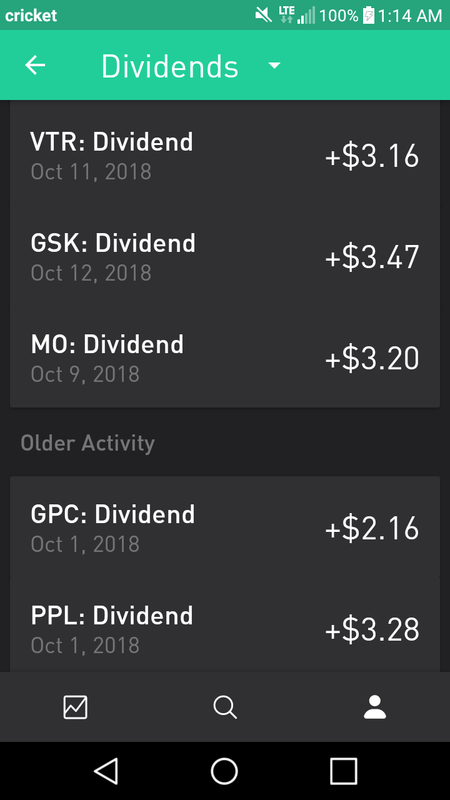 $3.47 of the additional $4.49 in dividend income that I received originated from my first dividend from GlaxoSmithKline (GSK) since buying back in June, just days after the ex-dividend date. Furthermore, I received an additional $0.41 from PPL due to an extra share that I added shortly after the last dividend from them. A dividend increase from WP Carey (WPC) accounted for an additional $0.02 in income, while a dividend increase from Altria Group (MO) accounted for another $0.40 in additional income. The remaining $0.19 in dividends came from my M1 Finance account that I established in early September of this year. 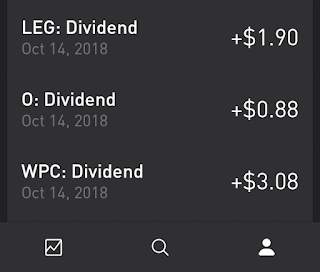 Although the trend of the first month of the quarter being my slowest continues, my dividends have grown nearly 577% from the $3.15 collected in October 2017! I'm expecting another quarter of somewhere around 25% growth in my dividend income in January 2019 as I recently initiated a position in Iron Mountain Inc (IRM) and will continue to add to it if the price stays in the low to mid $30s. How much did you receive in October? Did you have any newcomers to your dividend payers like I did? What was your YOY dividend growth? Looks like your dividend totals have already begun their liftoff, Kody. You've accomplished some outstanding YoY growth. Keep up your terrific efforts. I share MO, as well as REITs WPC and O. Thanks for the comment, ED! It looks like you had a fantastic month as well. $547.61 in dividend income and 20.9% YOY growth is incredible for your capital base. Keep it up! Nice job collecting those dividends last month. Looks like you have many quality payers sending cash your way and we share quite a few names as well. By the way, how are you liking M1 so far? I'm looking at other brokerages since moving to E-trade from Cap one last month. Thanks for the comment, Keith! I've been quite pleased with M1 Finance so far. The biggest advantage that M1 has over Robinhood is that I'm able to purchase fractional shares and also reinvest dividends once my cash balance is at least $10. I'm also able to automatically pick a weighting that I'm comfortable with for each stock, so it takes any manual balancing out of investing. The last thing that I like about it is that it also includes other pies that are sector specific and also based on an investor's risk tolerance for those that aren't necessarily into stock picking. Overall, I haven't found much to really dislike about it so far.